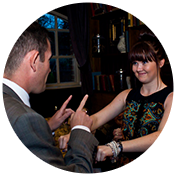 Looking to Hire a Magician in East Sussex? 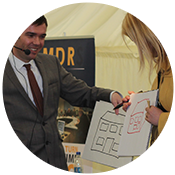 Thinking about hiring an East Sussex magician? 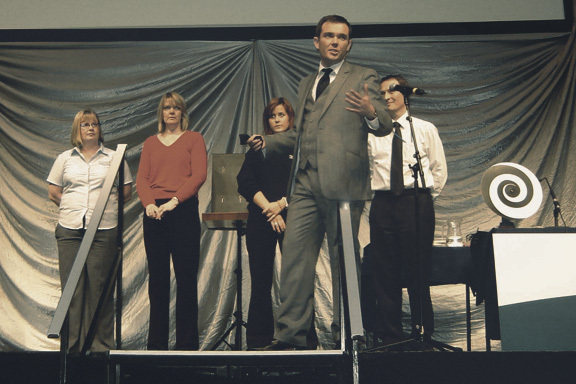 Mind reader, psychological illusionist and contemporary magician Edward Crawford has been performing as an East Sussex Magician for the past 15 years. During this period Edward has performed in some stunning locations throughout East Sussex including Brighton, Eastbourne, Crowborough, Lewes, Hastings, Peacehaven, Newhaven, Seaford, Portslade and many more. Edward’s unique and award winning style of mentalism (psychological illusion) combines alternative magic with psychology to create one of the most astonishing, outstanding and inexplicable acts you will ever see. Whether he is reading minds, making impossible predictions, or engaging in telekinesis (bending metal with his mind), Edward creates a hugely entertaining grown up style of magic that will leave even the most cynical with a sense of wonder. Some of Edwards stunning presentations of the power of the mind have included driving around a racing track blindfolded (not recommended! ), duplicating drawings made by a person in another room and bending coins held in the hands of his audience. 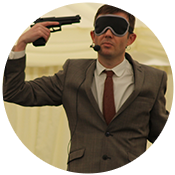 Edward performs both close up and on stage, so, whether you are looking for an East Sussex magician for a private party, a corporate event, a trade show, a banquet, a ball, a dinner party, or a wedding ,Edward’s act will be tailored to suit your requirements. Whether you are looking for a close up performance or a cabaret show, Edward will be the perfect entertainer to make your event truly unique and memorable. If you would like to book him for your event in East Sussex simply fill in the enquiry form below. 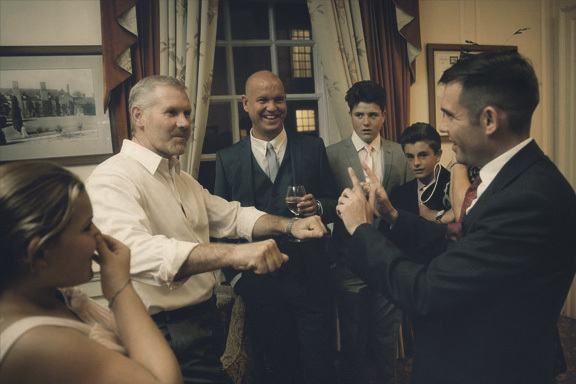 Whether you require a East Sussex Magician for close up performance at a dinner or drinks reception, or a cabaret /stage show, Edward will tailor his act to suit your event. On Sunday afternoon I was booked to perform at a wedding reception at Buxted Park Hotel, Uckfield in East Sussex. I had met Marc and Lisa, the couple getting married at another event just a week ago. Within minutes of seeing me perform they asked if I was available on Sunday for their wedding. Always a fantastic compliment to receive a booking in such a way. Generally I am booked solid when it is just a few weeks to go but fortunately it was a Sunday afternoon which is usually quiet and I could fit them in as long as I could get away by 6pm for an evening booking. 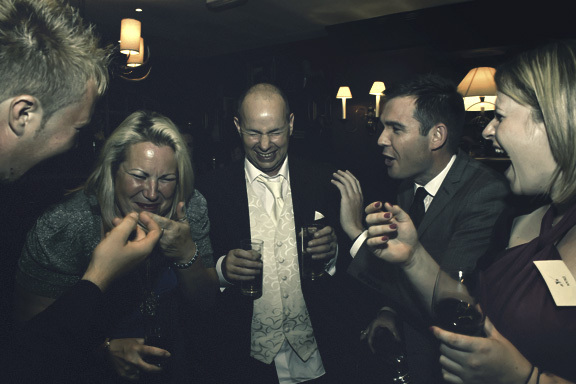 Marc and Lisa wanted a close up magician to perform during the drinks reception as the ceremony finished and throughout part of the wedding breakfast. They were having the speeches at the beginning of the breakfast (always a good idea I think as it gets the nerve wracking part for the groom and father of the bride out of the way early so they can enjoy their meal!). I advised them that the best time to perform would be during the second half of the drinks reception, the first half usually entails photos and people chatting after the ceremony and throughout the breakfast up until the dessert. This gave them a two hour performance. I always like it when I get to split a performance into two parts as it gives me more of a chance to get to know people and to show everyone two routines. 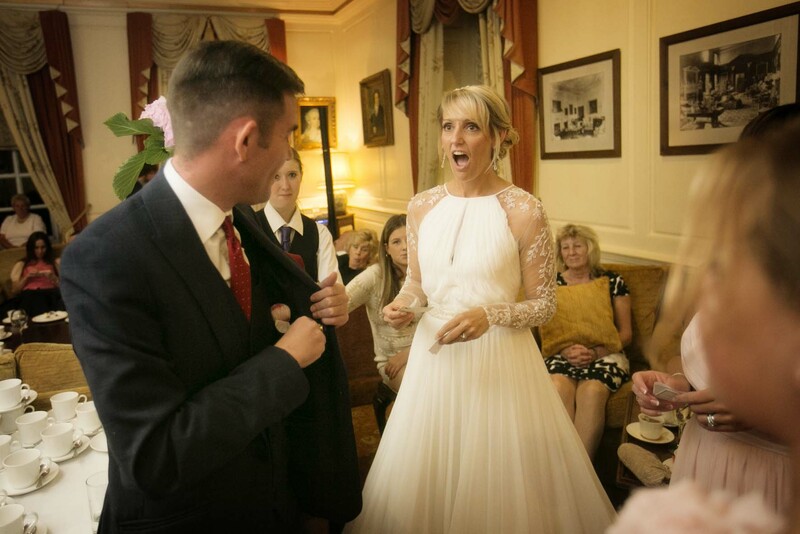 Due to the nature of the psychological magic and mind reading I perform this means I will know what will work best with certain people so during the second performance during the wedding breakfast I could be a lot more direct and perform some of the hardest most powerful material in my repertoire. I ended the afternoon with a special routine for the bride and groom which all the watching guests kindly gave a standing ovation! It was a fantastic afternoon and a beautiful wedding in which I was very pleased to pick up a couple more bookings for later in the year. These were for Christmas party bookings, just a quick note that if you wish to hire a magician for your Christmas party then I only have about 4 dates left free in December so please book soon. A big thank you to Marc and Lisa for the booking and thank you to everyone at The Buxted Park Hotel for all their help. 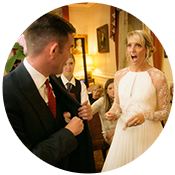 If you want to hire magician in East Sussex for your wedding or any other event please get in touch to find out what performance will suit your event. I Look forward to hearing from you. 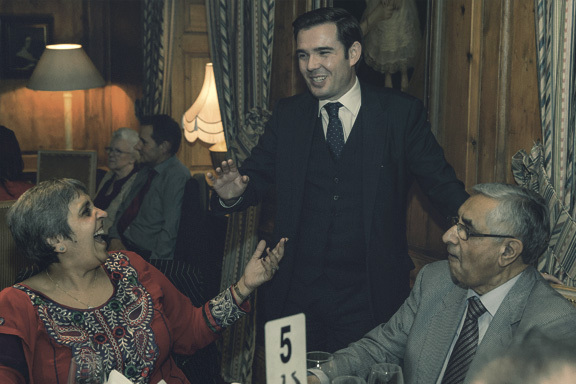 Last Saturday I was booked to perform close up magic at a charity event in at the Ashdown Park Hotel, Forest Row, East Sussex. The event was for the Emile Faurie Foundation, a chrirt set up by Emile Faurie to allow disadvantage children the opportunity to ride horses. The event was a black tie three course meal with a charity auction. I was asked to perform throughout the meal performing close up magic at peoples tables. I was booked for 2 hours but eneded up staying for about 3 hours to ensure I got around everyone. 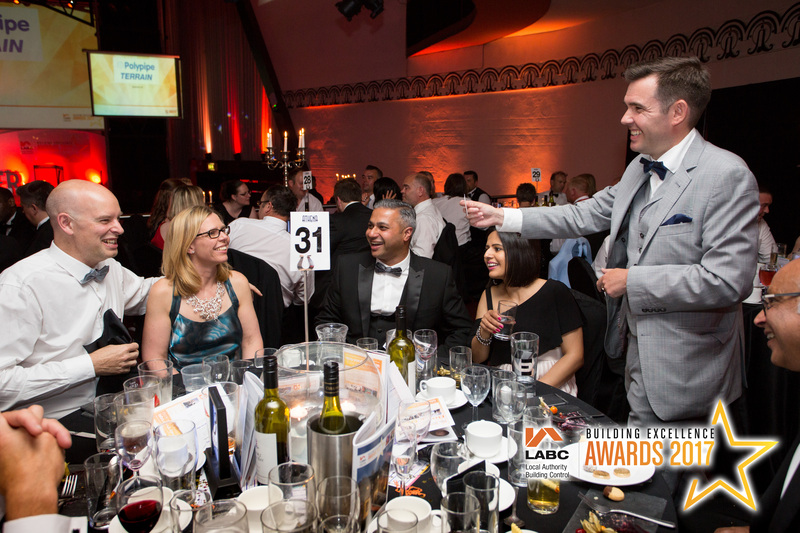 At each table of about 10 people I performed a ten minute routine, focusing mainly on mind reading and influence. A typical routine at a table would be to start with a warm up. I would write something down, ask someone to name a playing card (no cards were used, just imagine one) the card they named would be the same as I had written down. I would then move on to the mind reading. Generally I would ask someone to think of a number, maybe the first couple of numbers of their pin number, another person would be asked to think of a random word and a third person would be asked to draw a picture. I would then tell them what they were thinking a attempt to duplicate the drawing. Very pleased to have had about a 99% success rate throughout the evening, despite the amount of champagne that was being drunk (not by me unfortunately). It was a really enjoyable evening and I was very pleased to have taken a couple more bookings for next year from a number of guests who were attending. A big thank you to everyone at Ashdown Park hotel, East Sussex for their help throughout the evening. It really was an absolutely stunning venue. Massive thanks to Mary-Anne at the Emile Faurie Foundation for the booking. I hope to see you again at your next event. 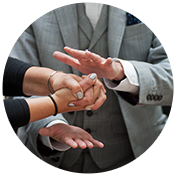 If you’re looking to hire an East Sussex magician for your event please get in touch to discuss which performance would be most suitable for your event. New Years Eve is the one night of the year I can guarantee to be working. This year I was at the Sussex exchange in Hastings, East Sussex. They had a dinner and dance for paying guests, about 250 people in total. 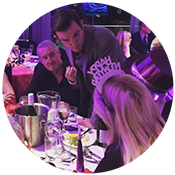 Myself and a fellow magician were booked to perform close up magic for the guests whilst they ate dinner and as later whilst the band played. I was booked for 4 hours between 7 to 11pm. New Years Eve can be a dodgy night to perform as people have been known to have a little too much to drink, I know, hard to believe, but everyone was on best behaviour which made it a pleasure to perform. Throughout the night I mixed with guests at their tables and whilst they stood around chatting and drinking. As there were so many people I kept things fairly simple throughout the evening, each time starting with a routine which looked at how suggestible people can be by making people think of random items that I had predicted in advance. I then moved onto a mind routine in which I would tell people names of people they merely thought of duplicating pictures they drew in secret. The evening was a lot of fun and I even manged to get home before midnight.